Millennial Homebuying #Infographic ~ Visualistan '+g+"
When the housing bubble burst years ago many homeowners found themselves underwater in their mortgages. This was certainly bad news for those homeowners, but what no one realized at the time was that there would be repercussions for years to come. Today those homeowners are just starting to dig their way out of mortgages that kept them in homes they had long outgrown. Equity has been slow to build. As a result, people are staying in their homes longer out of fear or because of lack of capital. This means fewer starter homes on the market for first time home buyers. Millennials are struggling to buy homes even though they surprisingly want to do so. Their savings are practically if not literally nonexistent, and they are often saddled with student loan debt. Millennials associate home ownership with the American Dream more so than previous generations, so lack of savings and escalating credit standards are grinding the housing market to a halt. 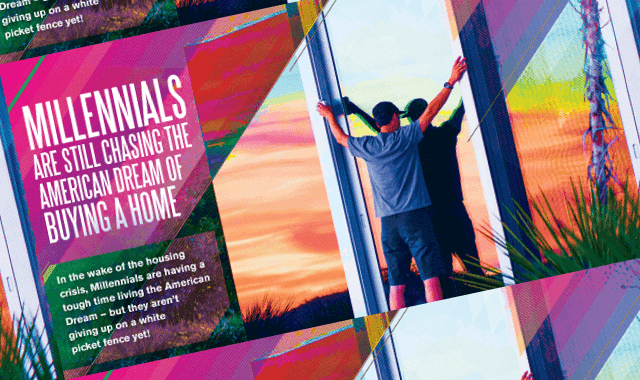 Learn more about millennial home buyers from this infographic!